Donald Trump wants to make America great again. 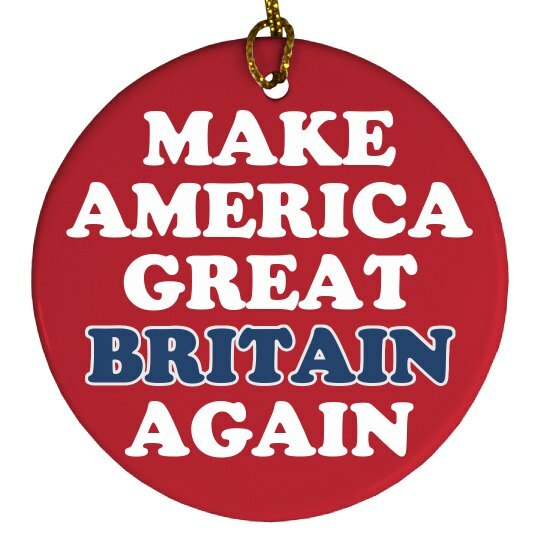 However, it looks like he's making America Great Britain again. Everything is getting a little lighter in color just a small bit at a time. This Christmas tree ornament is funny, and will mist likely start an argument with one of your family members.